The Koh i Noor diamond is back in the news this spring, including a telling quote about it from 2010, when Prime Minister David Cameron explained his decision not to return the diamond: "If you say yes to one you suddenly find the British Museum would be empty." Possession: The Curious History of Private Collectors knows just what he means — and doesn't buy it. Written by "America's only professor of art crime," Erin Thompson, Possession is a book fascinated by collectors of antiquities: the lengths they go to, the justifications they give, the personas they shape and the politics in their wake. But it's also a book that understands that the relationship between art and collector runs deeper than prestige or pride. When all of antiquity is a heist, you are what you steal. Thompson finds plenty of examples threaded through her history. 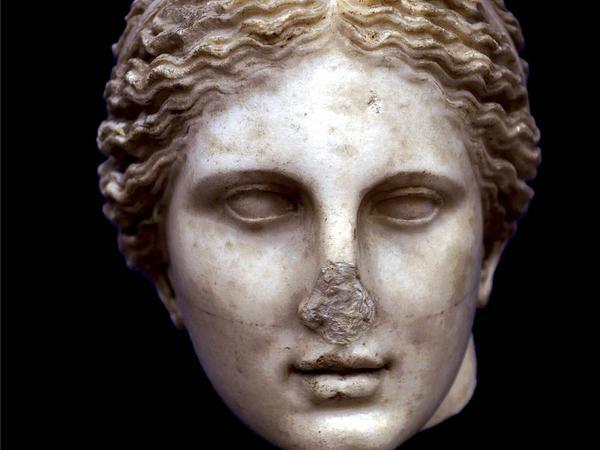 Some are illuminating from a historical perspective: By 200 BCE, Grecian relics were already considered antiques by Roman collectors — remnants of a bygone culture. And collecting them became a way to align oneself with history, a useful but transparent PR move. By the first century CE, writer Quintilian was convinced collectors were hunting for overrated "masterpieces" out of "an ostentatious desire to seem persons of superior taste." But despite the complex history of art as social currency, there are those whose passion goes beyond any obvious advantage. Naturally, they make for the best stories. This slim volume is just bursting with read-them-to-a-friend anecdotes of collectors who'd stop at nothing, like Pietro Barbo (later Pope Paul II), who was nicknamed "Mary Weeps-a-lot" for his shameless habit of crying until a fellow collector gave up the goods. Isabella d'Este heard Cesare Borgia had invaded Urbino and ousted her brother-in-law as ruler — and immediately wrote asking if he would mind sending her a few little palace statues she'd liked. In the 20th century, J. Paul Getty wrote romanticized, semi-autobiographical, wildly inaccurate short stories about the histories of his darlings. Art is passion; Thompson understands. Still, hope springs eternal. Perhaps the value of archaeological preservation will itself become a prestige commodity. Until then, the marvelous Possession offers a savvy history of passion as politics, a delightful collection of collectors and a love of art that might just send you to a museum.